Residential localities in South Chennai are known for their posh surroundings and peaceful living conditions. Witnessing constant and steady upward housing demand over the years, apartments in Adyar are preferred by the middle and the upper middle class segments of society. A premium well-developed area for those seeking quality living, Adyar is the ultimate choice. The social and economic infrastructure of the area is very classy and suitable for all classes of people. The presence of many flats for sale in Adyar is because of the high demand for the high standards of housing in the locality. The presence of good connectivity and constant high levels of appreciation have made Adyar a buyer’s ultimate location. The limited supply of houses in the locality always keeps the demand high and causes several investors to make a beeline for the projects. The location of apartments for sale in Adyar is also a major draw among developers and buyers. The average prices of the apartments are priced at Rs 13,000 to Rs 15,000/sq ft. It boasts of having some of the finest companies, schools, colleges and hospitals in Southern Chennai within its premises. The flats in Adyar are also built marking the high standards of the investors who reside in them. Connectivity is one of the essential benefits of the locality. The transport system such as the bus connectivity is very organized and the area is close to the OMR, GST and ECR roads. The Chennai airport is only 13 kms from Adyar and is easily accessible from both trains and buses. This has increased the demand for apartments in Adyar and converted it into a prime residential hub. 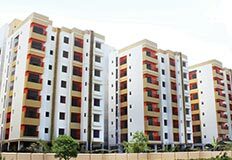 In the residential sector, while independent houses dominate a major portion of the landscape in Adyar, flats are also significantly found in the area. Luxury projects in the form of villas and penthouses are also being offered by developers and housing promoters. The vast presence of flats in Adyar has also boosted the rental values in the area. The demand for housing in the locality has also influenced buyers into making investments in NRI and HNIs categories. Almost 94% of the residential areas in Adyar have been occupied and the remaining is under construction. Within this 68.3% of the portion is occupied by apartments and 27.7% is occupied by independent houses. 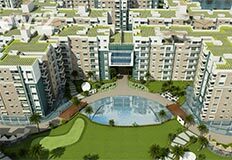 The apartments for sale in Adyar have also gained interest among the NRIs and HNIs groups. Commercial properties such as malls and recreational centers for the residents are also being introduced. New developments that include luxury properties suiting the styles of the investors are being constructed by many renowned developers. 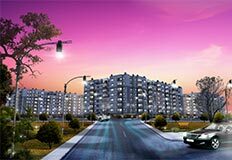 The latest trend among the residential flats for sale in Adyar is also the amenities that are provided within the townships. In order to add comfort and style to the lives of the investors, the builders are keeping exquisite amenities to cater to the needs of the residents. Thus the appreciation levels for apartments in Adyar are high and many of the projects have experienced double the profits. The capital appreciation and rental values are always on the upswing in Adyar making it a buyer’s favourite in Chennai. Thus for lucrative investors Adyar makes a great place for buying the perfect house.